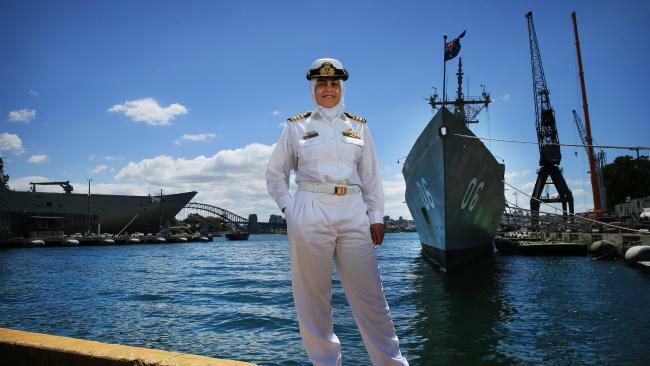 Meet Captain Mona Shindy, Captain of Royal Australian Navy, Chief of Navy’s Islamic Advisor, engineer and fulltime mother. She is one of many prime examples of today’s inspiring role models. Her family migrated from Egypt when she was only three years old and she lost her father at the age of 14. But that didn’t stop her from achieving her goals. From graduating with a degree in weapons engineering to climbing aboard a warship at the age of 23, Captain Mona has shown remarkable effort and dedication. During an interview she explains how she achieved all those things with the help of her faith. How does your faith inform you to be a better person? What were the challenges you overcame to get to where you are now? “Finding the way to fit in, into Australian society but still be true to yourself and true to your values and your beliefs. I think that was a significant challenge and still does remain a challenge for all Muslims generally. My personal view on how to overcome that is through constant communication, leading by example and also educating people through engagement and being involved. Being part of it is what helps down break barriers. It might look like a good thing…. but we need the ADF to relinquish its overseas military roles under US command. I would not want to be in her shoes if she was ordered to sail to the Middle East or Pakistan. She sounds like a fantastic Aussie woman that everyone can be proud of. Interesting that in answering those questions she did not mention Islamic doctrine or the holy books once ? Would be interesting to see how she engages fundamentalist Islamists who would definitely have a problem with her in so many ways. Get your hands out of your fuc*ing pocket!!!! at least follow the rules of the MILITARY !!!! !